Isn&apos;t great when you&apos;re at the right place at just the right time. 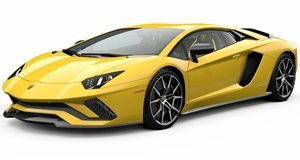 That&apos;s exactly what happened to one passerby as they caught this great video of the Lamborghini Aventador driving slowly on a Berlin street. Although it doesn&apos;t take off down the street, the sweet sound of its all-new 6.5-liter V12 engine is more than good enough for now. The Aventador here is being driven into a showroom floor for display. As it&apos;s backing up, we see the unique front and rear lights. The infamous scissor doors also open up to reveal the interior. With a list price starting at $379,700 and a top speed of 217 mph, sweet perfection doesn&apos;t come cheap. It&apos;s already sold out for this year.